AN ENRICHING EXPERIENCE FOR KABIRIANS @ ISRO…..
Home → School → AN ENRICHING EXPERIENCE FOR KABIRIANS @ ISRO….. The students of Std. 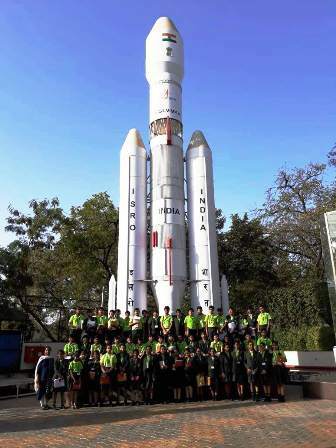 VI of St. Kabir School –Drive In New went for an educational trip to Indian Space Research Organisation (ISRO) on 7th February 2019. 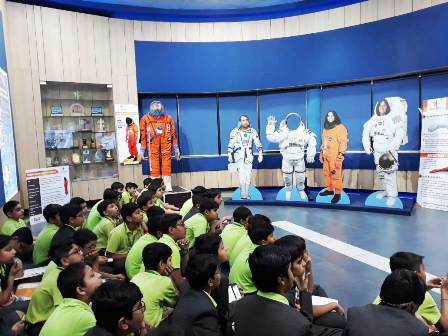 There was a guided tour for the students to learn about various aspects of operations of ISRO in order to promote children’s interest in space, rockets, the Earth and life itself, and to nurture human resources that can shoulder future space development. 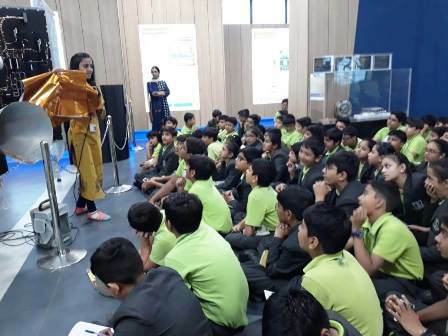 The children were quite delighted to learn about the types of satellites and their functioning, the way the rockets are launched which included India’s first successful journey to the moon – ‘Mangalyaan’, India’s upcoming programs, and so on. They even enjoyed watching a short movie on how satellites are launched, which was quite motivating. 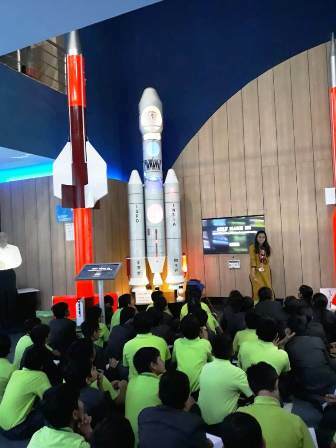 The resource person at ISRO interacted with the students and explained the finer details about the operations of the Space Applications Centre. The students asked many intellectual questions which were answered accurately by the resource person. It was indeed a productive trip and the students gained knowledge through fun and participation.